In what started as a close match-up between the undefeated Durham Lords and the Algonquin Thunder, the women’s volleyball team couldn’t close the deal Friday night in front of their home crowd. Heading into the game, the Thunder started with an 8-3 record on the season so far. However, the Durham Lords came to town with an 11-0 record placing them on top of their division. Although losing two sets in a row, the Thunder still stuck around in the game with a positive attitude. “We all played really well tonight. We had a few girls step up tonight that we were really banking on stepping up. Unfortunately we made some mistakes that cost us the game,” said Thunder player Rlyee Leger in a post-game interview. When going up against such a dominant team like Durham, head coach Everton Senior was satisfied with how his team played throughout the game. Falling to an 8-4 record, the team will have to quickly reset for Saturday’s 4 p.m. game against Loyalist College, who come into town with a 4-6 record. 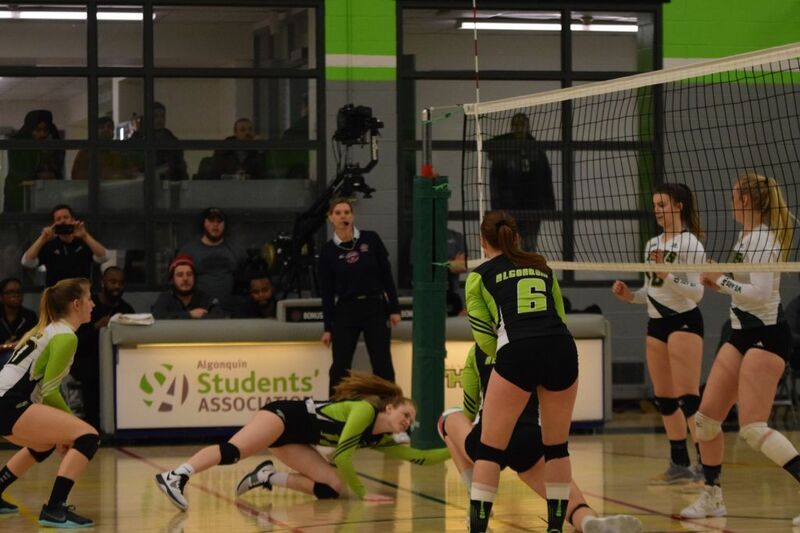 The last time Algonquin played Loyalist, the women’s Thunder won in four sets with a final score of 3-1. Women’s Thunder fall to Durham Lords Reviewed by Kened Sadiku on January 20, 2019 .